The top options for gourmet tastes and reasonable budgets in Paris are here on this list. For those looking for a bit of an ethnic experience in Paris, there's lots here on the list that fills that bill. From Bistro Paradis (French-Brazilian) to Itacoa (French bistro with South American flair) to Chilam (Mexican) to John Weng (Asian fusion) to Le 1K you can travel from South America to East Asia and back again. Also Marclee, which offers Asian-fusion cuisine. Le 1K has mainly Peruvian dishes on its menu, an ethnic cuisine that has continued to fascinate the French here in the capital. They all offer terrific dining values. 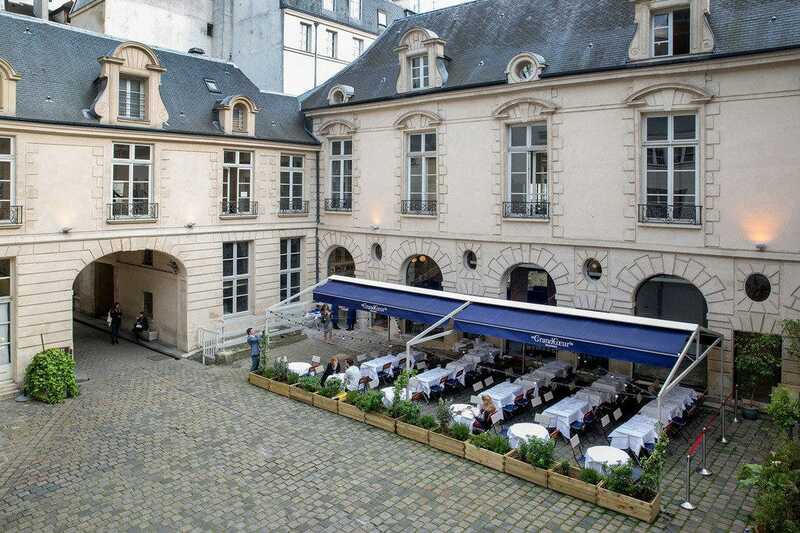 More dining value for your money can be had at the Marais go-to destination Le Grand Coeur. Where else can you enjoy the cuisine of a world-renowned chef (Exec. 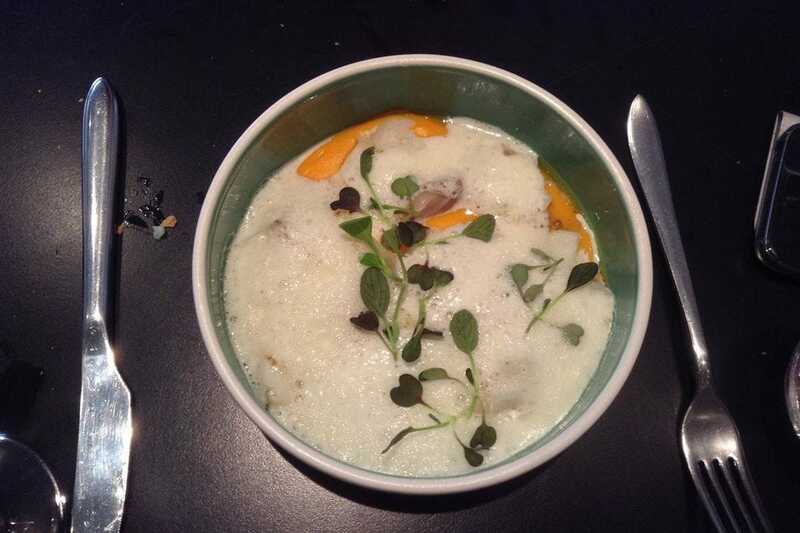 Chef Mauro Colagreco) at affordable French bistro prices? This famous chef, Mauro Colagreco, whose Argentinian roots inform his sophisticated cuisine, has designated his trusted second from Mirazur to run the kitchens at Grand Coeur, literally tucked in the heart of the Marais in an old cobblestoned courtyard. On a lovely tree-shaded corner just across the street from the side entrance to Les Archives, the national archives, sits this lovely local's caf�nd restaurant. 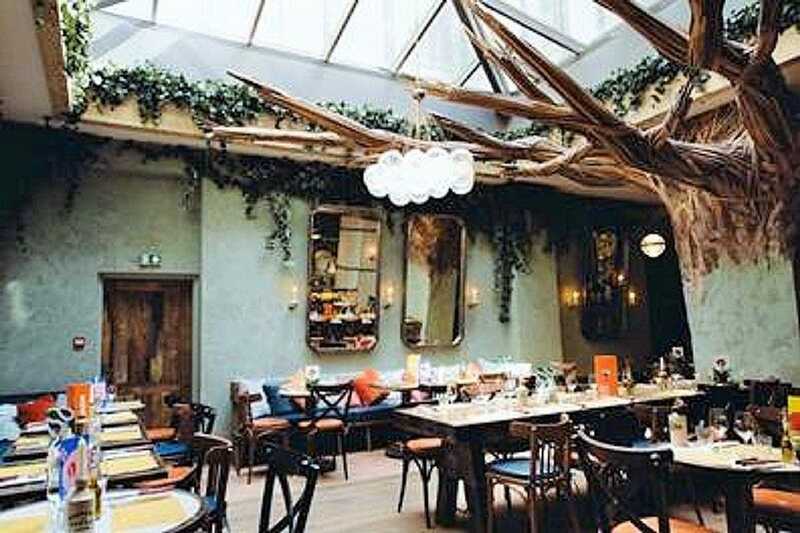 The fancy isn't in the food but in the setting and there's really nowhere else like it in Paris. You can sit out on the large covered patio, the "terrasse" which occupies nearly the whole street corner and is graced even further by a last-century -working - stone water fountain. 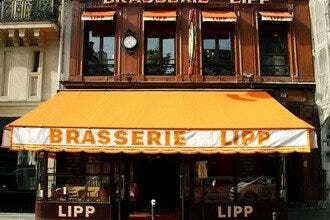 In addition to serving a light Parisian breakfast of caf�roissant/orange juice, they do brisk lunch and dinner services mainly catering to the many loyal patrons who work in the trendy shops and Marais businesses surrounding this location. An evening glass of wine during happy hour out on the sidewalk patio is unrivaled in terms of soaking up some true Parisian atmosphere. In a city where just about every ethnic cuisine can be found, there is also now a trendy, upscale restaurant honoring Peruvian and Andean cuisine. 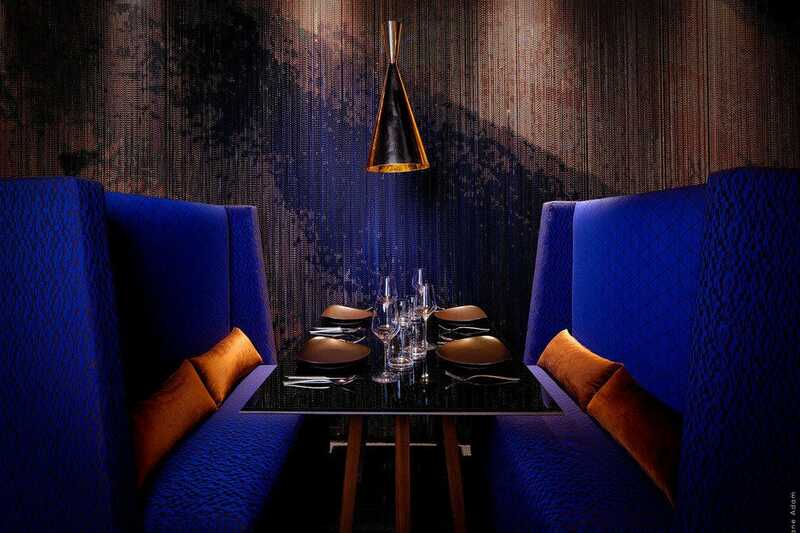 Not far from Bastille and République, the midnight blue velvet booth seating with its backdrop of blue and bronze-hued metallic chain curtain décor is modern luxury with that accent of edgy. The chef here was winner in 2012 of one of those top chef competition tv shows that are as religiously followed here in France as they are in the US. New on the menu is the Tiradito de Saumon, a plate of carpaccio-like thinly sliced Norwegian salmon served with tiny purple and yellow blossoms as garnish. Not to miss on the appetizer menu is the Gyoza y Cordo, Japanese style gyoza filled with suckling pig served with aji paca sauce a sort of ponzu sauce. 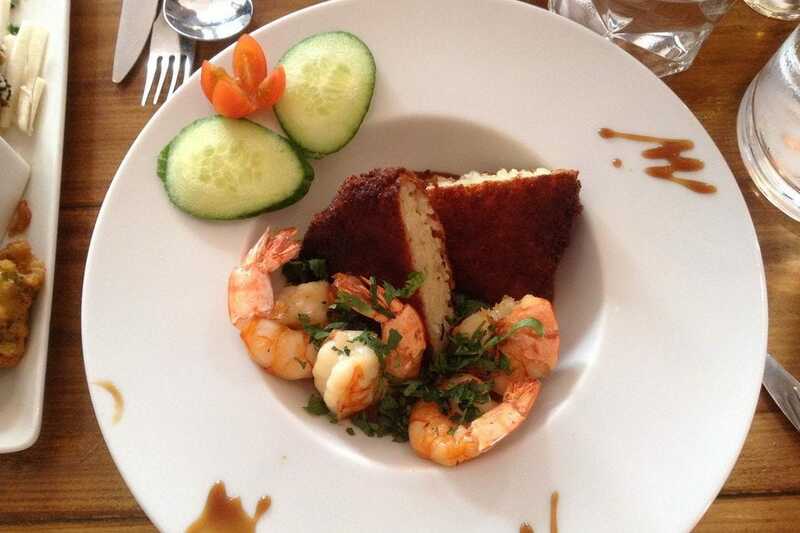 Come here when you're looking for a fun night out accompanied by excellent, authentic Italian trattoria food. Even though the French never eat dinner before 8, a crowd is already gathering by 7 p.m. - most likely because of the delicious smells coming from the wood-burning pizza ovens. do back home. The staff is all Italian and the service here is impeccable. Efficiency means they can turn the tables over to accommodate the long line of waiting guests, sure, but having your cocktail served just moments after you've ordered it is wholly refreshing. They can do that because the server taking your order punches in your request in her WiFi-enabled smart device which is instantly plugged into their system and immediately your cocktail arrives. Same goes with your meal order. One server takes the orders while another brings the food. There isn't anything like it in this city. When stepping into this cobblestoned courtyard in Le Marais, Paris' "SoHo" district, your attention is instantly gripped by two things: the resounding sound of dancers practicing their jazz/ballet/modern dance steps which echo from the second floor courtyard windows that house the Dance Center of the Marais, and the vast outdoor terrace seating of this restaurant fixture that has welcomed hipsters and food-lovers here for decades. The Grand Coeur is however altogether a new restaurant in this beloved location and one that is pedigreed. None other than Executive Chef Mauro Colagreco. Dishes here vary from delicate and refined such as the carpaccio of octopus, to simply flavorful, the pesto crust raw tomato tarte, to rich and satisfying, the signature lamb shoulder main slow-cooked for 14 hours, then crispy flash fried with dates and roasted walnuts. A young duo, Marky and Léo, got together a year or so ago and opened up this Asian fusion restaurant. The district is a hopping one, just off rue Richer, which is laden with popular eateries. A tiny restaurant with bar stools for seating and elevated tables, the kind you find in Japan, lend an authentic air to this restaurant. On the menu are Japanese-inspired gyozas and Chinese-inspired dim-sum or steamed dumplings; for the mains you have Pad Thai along with a seafood ceviche medley. A rarity in Paris, there is a good selection of sake cocktails on offer, too. Both owners have spent significant time in Asia and/or have Asian roots and their menu reflects their favorites from the respective countries, Japan, China, Vietnam and Thailand. There was a time, back in the mid-80s when Mexican food, or, more precisely, Tex-Mex, was a big trend in Paris. Then, as happens in big cities, food trends shifted elsewhere. But now it's back, Mexican food that is. And this time it's the authentic Mexican food that is getting its day in the sun. Chilam is fashioned like a little street food stand with colorful paper flags like the kind you see at wooden beach side kiosks grilling up fresh carne asada and roasted pork as filling for the corn tortilla tacos. 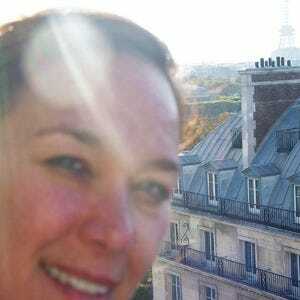 Except here, you are in the heart of the Marais, in fact just a few steps off of the rue des Rosiers. 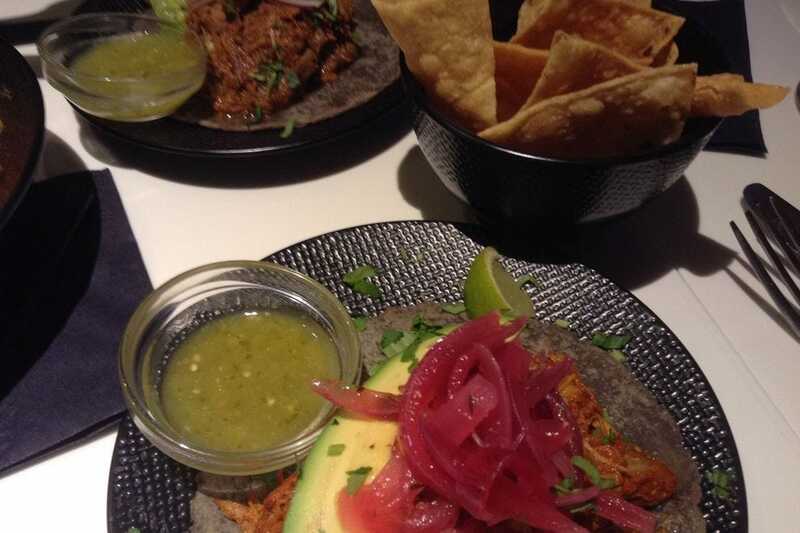 You can have your choice here of vegetarian or meat (chicken, beef, pork) tacos and also hamburgers, Yucateca (chicken), Michoacana ( pork & beans) "Buns," or also made with duck filet or grilled gambas (marinated prawns). But why this little Mexican food stand/restaurant really passes muster is because its tortilla chips taste like the real crispy-fried deal and are served with guacamole, the kind they make in Baja Mexico. There are also two types of margaritas, spicy and regular and each are served in a salt-rimmed glass and are blended with ice. For the warmer months, this is an ideal stop for lunch, afternoon snack or dinner. Quality sushi in Paris is something that you may not expect. But Sushi Shop, the hipster sushi bar that made itself into a local chain eatery, delivers up straight-from-the-ocean caught fish and handcrafted sushi. It has been so successful that it's now celebrating its 20 years. In a big way, too. 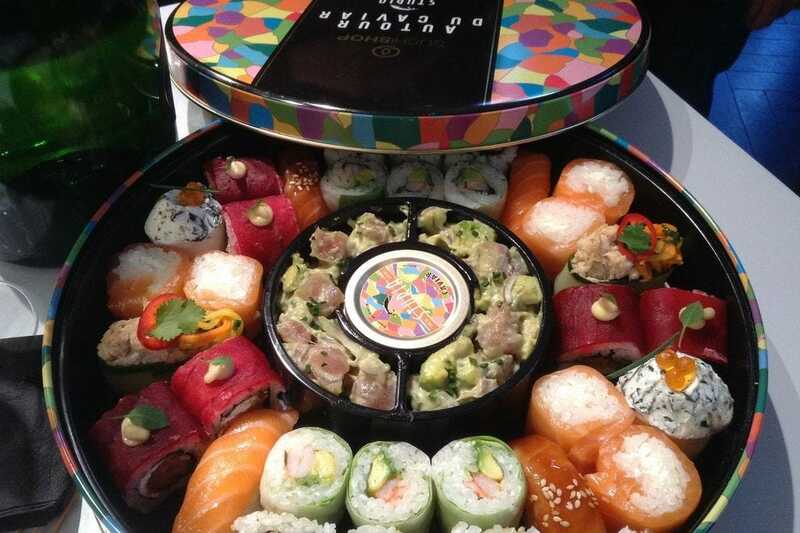 The shop's packaging has always been a standout for creativity and catchy designs, and for the 20th anniversary they've put together a very generous portion of assorted sushi pieces with a tin of Aquitaine caviar tucked inside. It's perfect for an evening with friends as a main course or to accompany "apero" the French traditional version of our happy hour. Most of the Sushi Shops in Paris and throughout France (89 int total) also have a stellar delivery service. So whether you are enjoying the sunset on the banks of the Seine, or expecting friends to drop by to share a bottle of bubbly, you can have your top quality sushi delivered right to you. Newly opened by chef Rafael Gomes after putting in his 3 solid years as chef at the Grand Coeur (in Paris Marais), this attractive spot in the up-and-coming 'start-ups central' area of Paris is an instant hit. Here, the Brazil-born, U.S. trained (Gramercy Tavern, Eleven Madison Park both NYC top restaurants) is free to do as he wishes and follow his inspiration. Lunch is a good time to stop in to try the singularly delicious roasted avocado salad. You'll also find daily specials that include market fresh ingredients like artichokes and asparagus blended with a perfectly creamy but light risotto served with generous white-breast filets of Bresse chicken. A generous steak is also on the menu and there are also vegetarian choices which makes this a super choice for dinner, too. The signature dessert here is a white chocolate served with passion fruit granita and a coulis sauce of passion fruit. 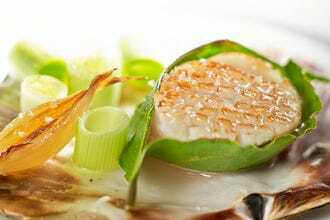 All is house made and all comes from the sheer passion and delight the chef has for his chosen profession. The interior decor is rustic and laid back with a gorgeous central table for group seating. 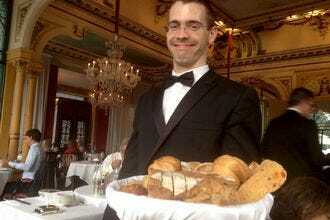 Service is friendly and international but all seem to share that Brazilian touch of warmth. 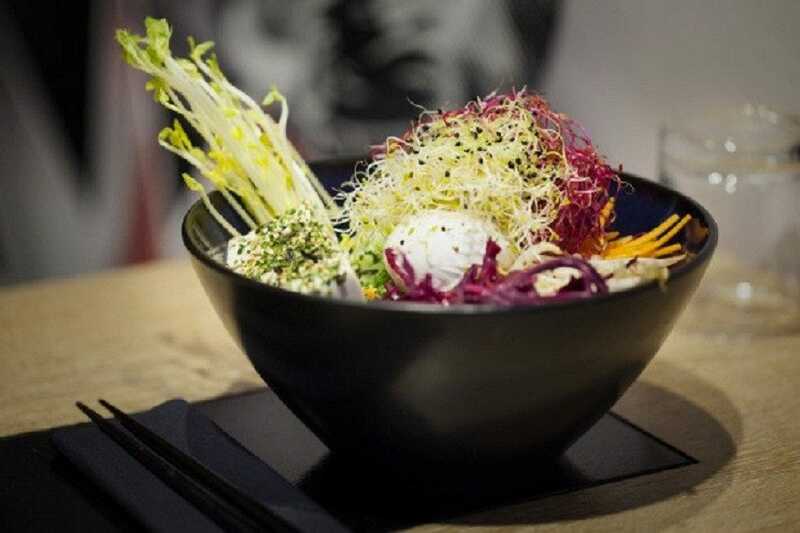 Now with three locations plus an outpost in the tres chichi BHV in the Marais, this asian-fusion bistro offers more than just good food. It offers a lunch time escape to Asia. 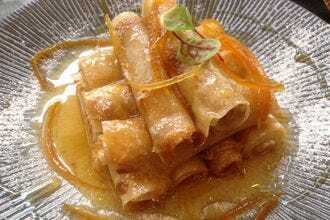 The successful culmination of three French guys' imaginations (ok, one of them is half Ozzy) John Weng blends the best of Thai, Vietnamese and Japanese cuisine with French culinary sensibility. This is hands down one of the best lunch deals in town and the packed house every day of the week is testament to this. For under 20 you get a full lunch including two appetizers and a dessert plus the house made daily special iced tea such as litchi-rose. The secret to their success? Dishes are not just tasty but also served up in the traditional Asian bamboo baskets and small tasting dishes that you see when you travel to exotic places like Bangkok and Saigon. 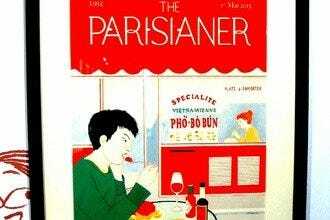 The food is not too spicy, and in that way it caters more to a French/European palate. Their consulting executive chef is an accomplished Thai chef who spot checks the kitchen's output regularly just to keep everything tweaked to authenticness. This is one of those Parisian bistros where the chef, after toiling long and hard for celebrity French chefs (Christian Constant and Ducasse) followed his dream and opened up his own little piece of paradise. 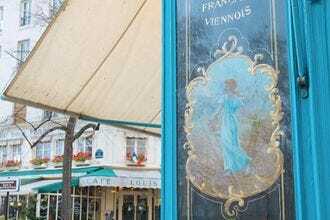 Aptly named, as it stands squarely on rue Paradis, this little Bistro offers a fixed lunch menu at a price that is terrifically affordable. Especially because the food itself is even more than terrific. Heralding from his native Brasil, Chef Alexandre Furtado takes inspiration from the day's market fresh ingredients to whip up his offerings for a very loyal lunch crowd (as in get there early because tables fill up by noon). The fixed menu offers things like grilled steak served on homemade gnocchi or fresh fish grilled and served over a bed of pureed sweet potato, drenched in a lime-cilantro sauce. Desserts range from coconut flan to fresh, seasonal fruits. For dinner, the tasting menu is also fixed and the chef serves you up 5 dishes minimum where you get to work your tastebuds through. Service is masterfully coordinated by his partner Yoann who with his ethnic mixture of French, Spanish and Vietnamese rounds out the cultural flavorings of this quintessential Parisian Bistro.